Full-Face (FF): Coverage of all sides of head, jaw and face (with a flip-up face shield). Pros: best protection, most coverage. Cons: some find them claustrophobic, difficult to hear exterior noises, limits peripheral vision, may be uncomfortable in hot weather, some may not work with eyeglasses. Modular (Flip-Up, Flip-Face, Convertible): Similar to a full-face but the chin bar is hinged so it can be flipped up over the top of the helmet. Pros: more interior space than full-face, usually fits with eyeglasses, provides face protection when chin bar is down. Cons: may not provide equal protection as full face, often expensive, noisier and often heavier than full-face. 3/4: Provides coverage to the top, forehead and back of head, leaving face and chin exposed. Some come with (or can be fitted with) a face shield. Pros: more wind to the face, easier to hear external noises, better visibility. Cons: face and chin exposed. Half: Provides coverage to forehead, top and part of the rear of the head. Pros: some coverage is better than none. Cons: little protection, leaves most vulnerable areas (face, chin, base of skull) uncovered. Beanie: Less than half-sized helmet favored by motorcycle cruiser enthusiasts (Harley dudes); smallest DOT-certified (see below) lid. Pros: If you're legally required to wear a helmet, this will fulfill that. Cons: According to a Harley dealer website, "this price is typically that they provide absolutely no protection whatsoever in the event of an accident." In many discussions about helmets, a rider will pop up and say they wear a full-face or modular because "I like my face." It's hard to argue with this, but a lot of riders prefer the freedom, convenience and openness of a 3/4. As with many decisions when it comes to riding, this boils down to the amount of risk you're willing to accept. Consider this: Studies have shown that the most frequently impacted area of a helmet in a crash is the chin (see diagram below). The front of the face is by far the most vulnerable area. Most states require that riders wear a DOT (Department of Transportation) certified helmet. The DOT stickers on the backs of most helmets sold in U.S. retail outlets carry this sticker. All this means is that the helmets manufacturer believes their product meets a minimum set of standards for quality and protection established by the DOT. Though they don't have to undergo any testing to claim DOT certification, the National Highway Traffic Safety Administration retroactively conducts tests of many helmets on the market, giving them pass/fail grades. More than half of the helmets subjected to recent testing failed. ECE is the European testing standard used in 51 countries. This is more stringent than the DOT standards and some believe it's superior to Snell. Technically, ECE-certified helmets (which aren't also DOT certified) aren't legal for use in the US—you can be ticketed for wearing them. This rarely—if ever—happens. (More likely, the rider with the non-DOT skullcap-sized helmet purchased on the Internet will get pulled over.) Many European helmet companies also make models for the U.S., but the selection and variety of styles overseas is far greater than what's available here. The downsides? You're skirting the law, and probably paying a lot for a helmet you haven't tried on and which might be costly to return or exchange. There are many good brands and styles available at many different price points, so deciding what to get can be difficult and confusing. A few basic rules to follow, though: More helmet equals more protection. A helmet that doesn't fit properly is pretty useless. High price doesn't necessarily mean best quality or more protection. Never buy a used helmet. 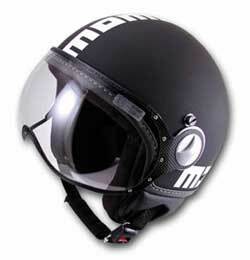 Ask forum members for their helmet recommendations and you'll likely get responses all over the map. It's probably best to narrow your choices down by deciding what type of helmet you want before asking. Even then, our best advice is usually this: Try some on and get the one in your price range which fits best. Proper fit is essential to providing good impact protection. 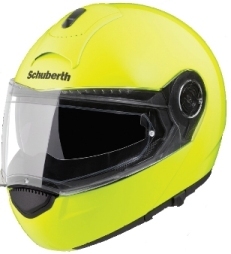 Don't hesitate to ask salespeople to provide guidance with fit and to recommend alternates if a helmet does not fit. There are several different common helmet shapes but many more head shapes—be aware that some may just not work for your bean. This isn't a pair of shoes; there's more to it than that. There are some good pointers for getting a good fit in the links at the end. The best place to buy your helmet is, of course, your scooter dealer. Unfortunately, many scooter dealers—and even many large motorcycle dealerships—don't have large selections. Finding the right helmet may require a lot of driving around to various retailers. Take the time required to do this into account before you buy your scooter. Buying online is another option that many riders choose. You may save money this way, but you're not supporting local business (especially scooter business!) and you don't have the benefit of trying something on. If you buy online, make sure it's from a reputable retailer with a good exchange/return policy. There are a lot of helmets for sale on eBay (often by dealers), but you won't necessarily get the best price there. Take the time to shop around (Google is your friend). Stay away from the cool-looking but non-DOT-certified "retro" helmets from Asia—they're basically junk. And again, never buy a used helmet. Once a helmet's been crashed, the interior protection's been compromised and it needs to be replaced even if the exterior shows little damage. Please note that discussion of helmet laws is NOT permitted on Modern Vespa.